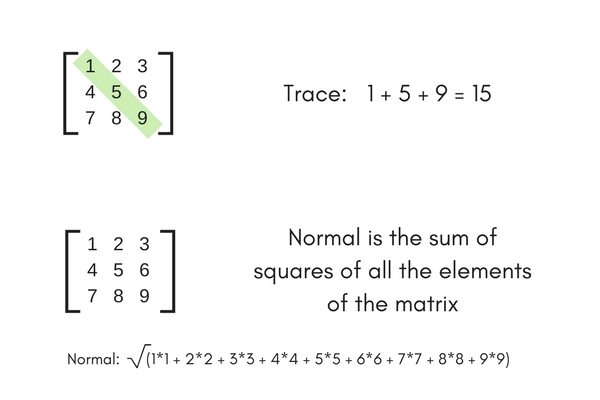 Normal and Trace are only defined for a square matrix. Square Matrix: Matrix in which, the number of rows = number of columns. Normal: Square root of the sum of the squares of each element of the matrix. Trace: Sum of the diagonal elements of a matrix. Diagonal Element: An element having same indices for row and column. 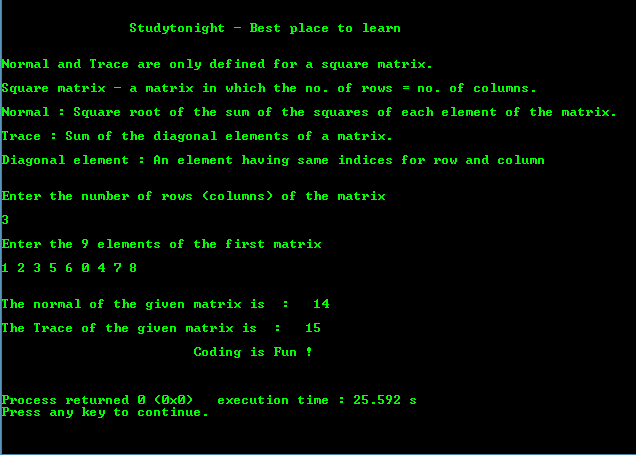 Below is a program to find Normal and Trace of Square Matrix.